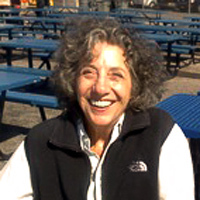 Leanore was born and educated in the United States and received her Bachelor of Arts degree from Brandeis University. She continued her dance studies with Mary Wigman in Berlin on a Fulbright Fellowship Grant. 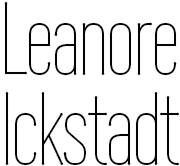 Leanore relocated to Berlin where she married Heinz Ickstadt. They have two sons. Her subsequent career was equally divided between performing and teaching in Berlin, then in Munich. After her return to Berlin in 1981, she opened her studio, the Tanz Tangente, a performance space and school for dance enthusiasts of all ages. Leanore began a new career as a writer in 2003. Her book Dancing Heads – a Hand- and Foot Book for Dance Teachers was published in German and English in 2007, followed by a history/memoir Dancing, Out of Germany in 2011. Her short story collection “Passage Confirmed” was published in 2015. Although she officially ended her dance career in 2003, she initiated a dance course for people with Parkinsons in 2011. She continues to teach on a freelance basis and, with her husband, divides her time between New York and Berlin.